A staggering 2,878 players from 45 countries around the world took part in the 2017 World Quizzing Championships, with 13 nations represented in the Top 50. The behemoth of quiz, England’s Kevin Ashman, took the crown with a score of 169 out of a possible 210. Scoring 80% on such a challenging quiz really is outstanding. Introducing Kevin Ashman, the World Quizzing Champion. 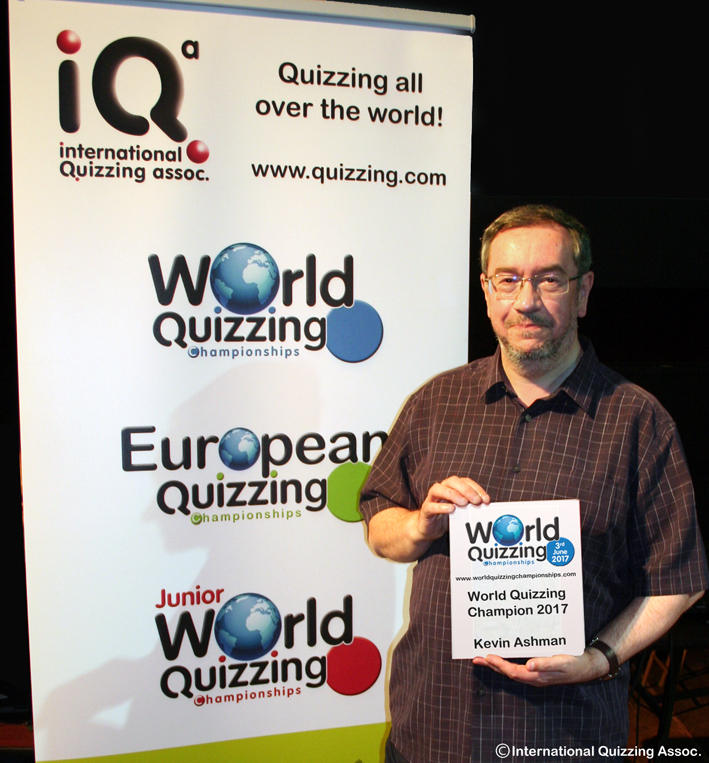 Kevin has taken the World Quizzing Championship (“WQC”) title six times now (2004, 2005, 2006, 2009, 2016 and 2017), the European Quizzing Championahip crown six times, and is a five-time British Quizzing Champion. In 1995 he won Mastermind, scoring 41 points with no passes in his heat, which remains a record to this day. He has been member of the BBC’s ‘Eggheads’ team since 2003. Kevin’s win in this year’s WQC greatly increases his chances of retaining his World Quiz Rankings Hot100 crown also. He was champion in 2016 and currently leads this season’s standings after four events. With your best eight of 12 results counting, one really can’t do better than having an event win or two under your belt! Kevin is a great ambassador for our sport. As well as having the most incredible general knowledge, he is also a really lovely man. Happy to read questions for fellow quizzers at the WQC event he was attending, Kevin is definitely the man to aspire to. The following tables show the top 20 highest placed players in the region. Because ties in genre positions aren’t split, sometimes there will be more than 20 names listed. 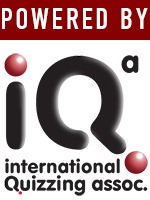 WQC question papers: Are available to purchase online here in English, Japanese and Russian. Just need the answers? You’ll find them available for download here – free of charge.